The Whitney Umbrella is famous for its pinch-point singularity. In the animation a second such singularity is created. The name umbrella comes from the fact that the implicit equation x^2 - y^2 * z = 0 has the surface plus the z-axis (like a handle) as solution. Observe that the angle between the horizontal lines on the surface goes to zero as these lines approach the line with the singularity. 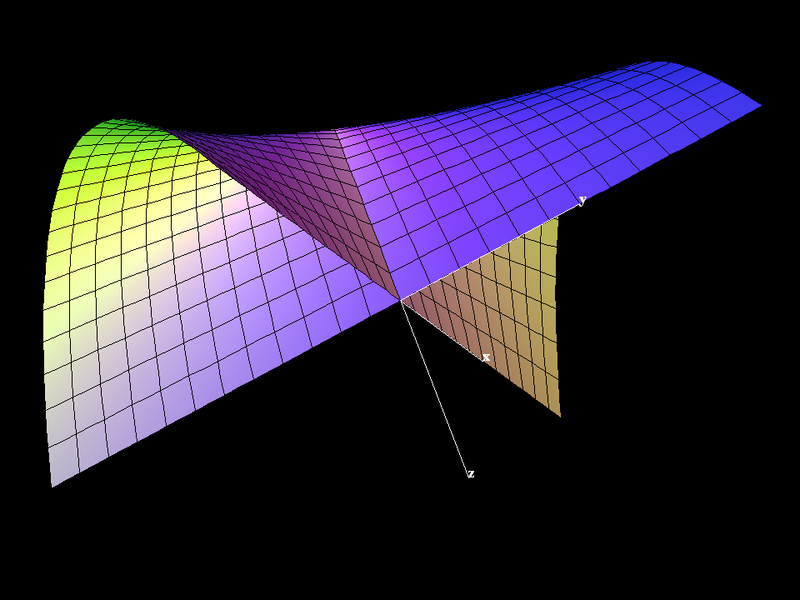 and a one-dimensional piece, namely the entire z-axis (the handle of the umbrella). The two-dimensional part is important in the theory of singularities. The point at the end of the line of self-intersections is a singularity of a type called a pinch point. 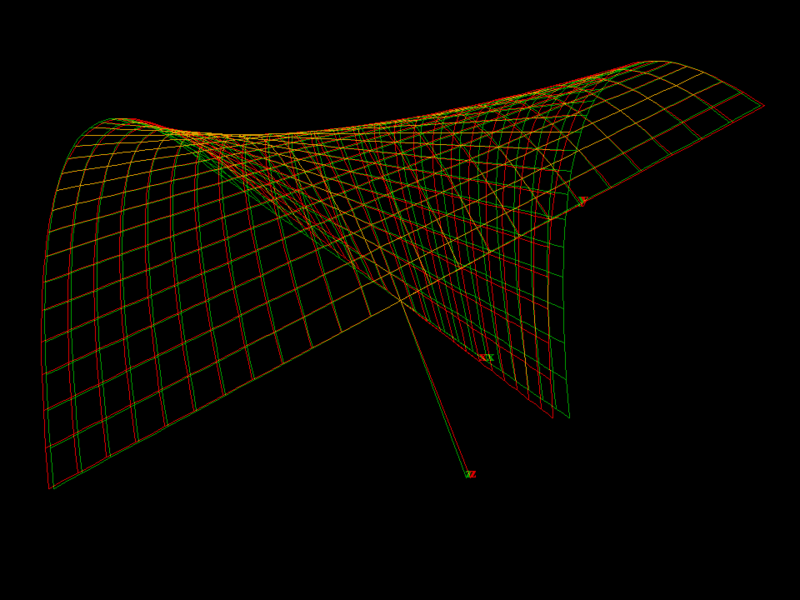 This is a canonical representative of the only stable singularity for mappings from R^2 to R^3.